Piling up: Global trade has increased, but has it been a positive or negative force? Every industrial revolution has driven a wave of globalization. The first wave was driven by innovations such as the steam engine and the industrial weaving machine; the second by the assembly line, the car and the plane; and the third by the digital revolution. Industrial revolutions and their technologies. As we enter the fourth wave of globalization, driven by the digital revolution, there is renewed debate over whether it is a beneficial force: powering economic growth, and allowing the spread of ideas to improve people’s lives; or whether it erodes communities, and widens the gap between the elites and the rest of the world. Globalization results in increased trade and lower prices. It heightens competition within domestic product, capital, and labour markets, as well as among countries adopting different trade and investment strategies. But how do these impacts net out? What are the positive and negative effects of globalization? 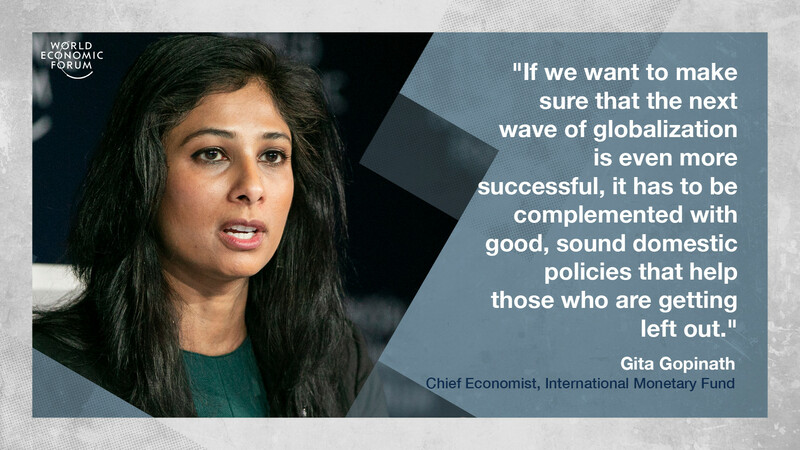 The below is an edited transcript of a conversation with Gita Gopinath, Chief Economist of the International Monetary Fund (IMF). Overall, what are the advantages of globalization? The advantages of globalization are actually much like the advantages of technological improvement. They have very similar effects: they raise output in countries, raise productivity, create more jobs, raise wages, and lower prices of products in the world economy. What might be the advantages of globalization that someone would feel in their day-to-day life? I think something that's not sufficiently appreciated about, for instance, international trade is that it reduces the prices of goods that they consume. So if you look at day-to-day things that you purchase, in terms of washing machines, or cars, or even clothing, because of international trade we've had a decline in prices of these goods, so they have become far more affordable for a lot of people in the world. How have the benefits played out in advanced economies versus poorer ones over the last three decades? Both advanced economies and developing economies have benefited overall in terms of having higher productivity, more job creation, and higher wages. As we've always known, and this is true again with technology, there are always some winners and losers. So there are communities and there are workers who lose out when there is more trade integration. That is what we're seeing right now in terms of discontent with international trade. Who have been the biggest losers? The biggest losers from international trade are always those whose skills have a cheaper competitor in a different market. So, in the case of the US, it's been those who work in the manufacturing sector because jobs in the manufacturing sector have been outsourced to countries where labour is far cheaper. 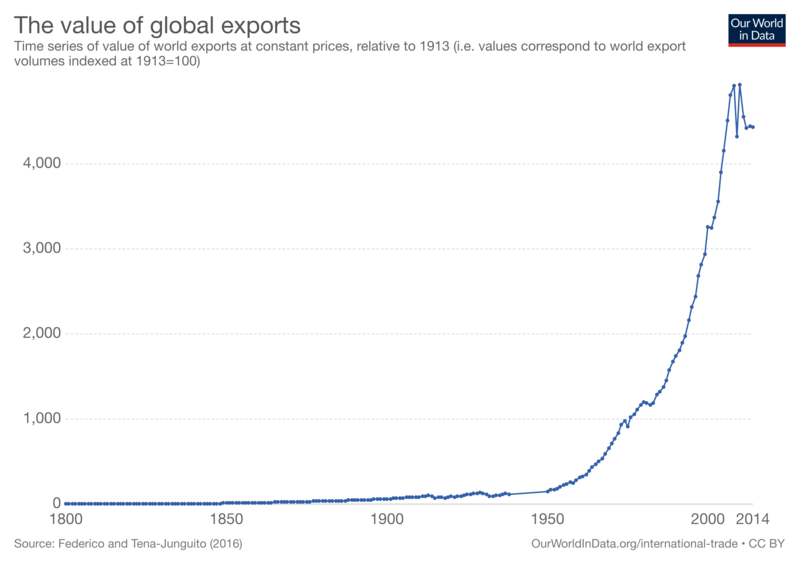 On the other hand, in developing countries, more capital-intensive goods get imported more cheaply from the outside. So if you're a manufacturer of a capital-intensive good in a developing country you tend to lose because of that competition. This is how it is with international trade: production goes to wherever it is most efficient to produce. So, when people in any country are exposed to this kind of competition, some win and some lose. Is it possible as an economist to come up with a verdict? 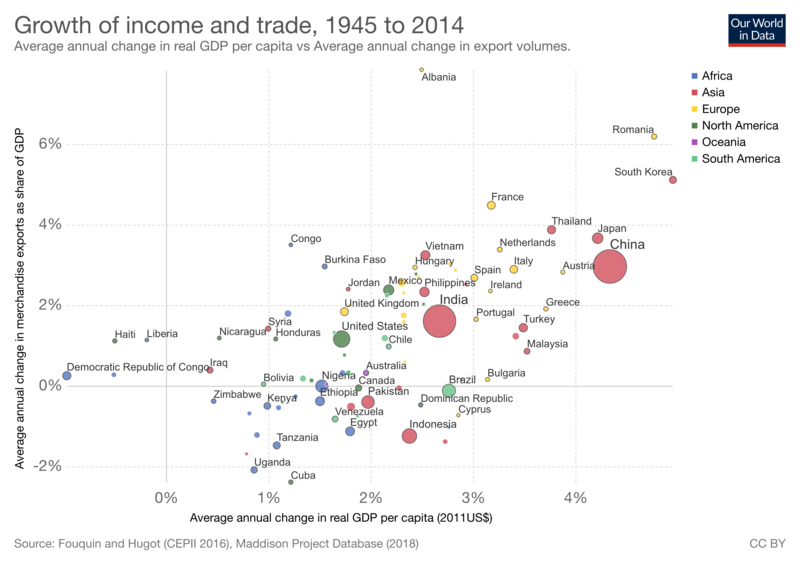 Has this wave of globalized trade been a net positive or a net negative? If you say, I'm going to look at it from a measure of overall effect on a country's income, on its purchasing power, on the prices that its people pay, overall I think the evidence that we have all points to it being a net positive. Now, if you frame the question as, has international trade been good for the manufacturing worker in the US? Then the answer to that would be “not fully”; it's been very costly in terms of jobs and wages for them. How optimistic are you that this next wave of globalization offers a better future? I would make a couple of points. First, the previous waves of globalization have been quite successful in lifting a large number of people out of poverty and so we should appreciate that. The second thing is that any form of globalization will generate winners and losers. So even if you have the perfect, most optimal international trade agreements, there will always be those who lose out because of competition, in the exact same way that people lose out whenever there's a new technology being developed. And so if we want to make sure that the next wave of globalization is even more successful, it has to be complemented with good, sound domestic policies that help those who are getting left out. How optimistic are you that the trade war between the US and China will be swiftly resolved? It's absolutely essential that it be resolved, and it gets resolved in a way that's long lasting. The world economy has lived with the uncertainty about trade tensions for a while now and if there is any solution and there is a sense that the solution is only transitory and something can again get triggered in the future, I think that's very costly. I'd say I'm mildly optimistic because I think leaders in the world are recognizing that these trade tensions are having a negative effect on their economies and so it would make sense to sit down and resolve it.